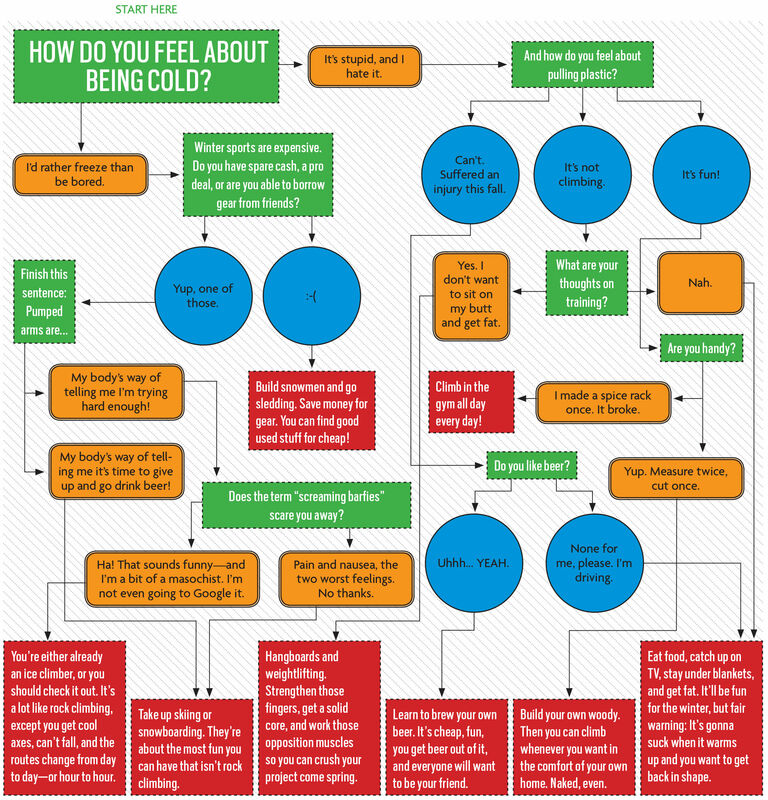 Flowchart: How Should You Spend the Winter? Temperatures have dropped. The landscape is a beautiful shade of white. Couples are enjoying the après ski scene in front of warm fires across the country. That’s right, it’s that terrible time of year when you can’t climb rock in a tank top. Screw you, winter. It doesn’t matter how many hand warmers or hot rocks you stuff in your chalkbag, unless you road trip to Hueco Tanks or Joshua Tree, it’s going to be a while before you really enjoy another outdoor pitch. But things aren’t as grim as they may seem. Spring will come, and until then, use this guide to figure out the best use of your time. Having trouble reading? View the full size image here. Flowchart: Can You Skip the Climbing Gym Tonight?